Get a Bobber in the Water! The weather in Stillwater this week...perfect may be an understatement. Looking back on last July, we were roasting by July 3rd! On the eve of the 4th, with weather straight out of a travel magazine, there is no better time to get a bobber in the water! 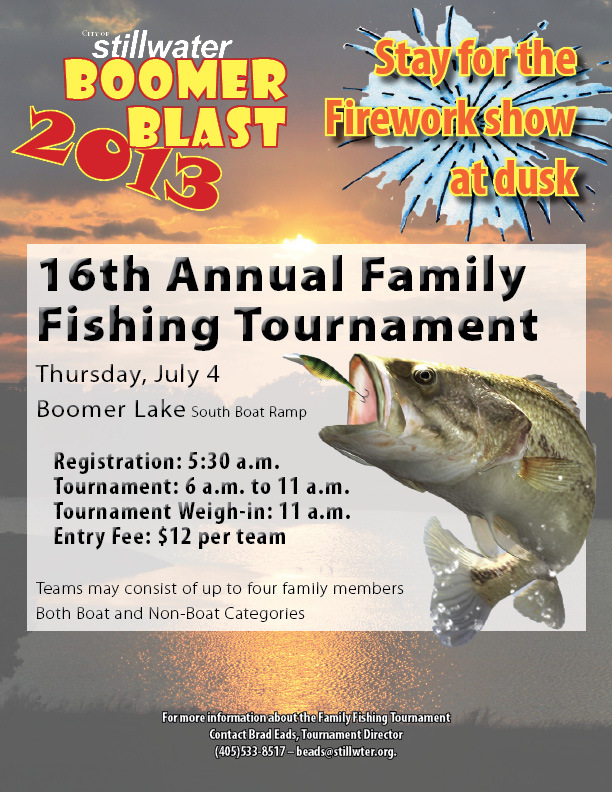 In fact, set your alarm clocks for day break tomorrow and join in the 16th Annual Family Fishing Tournament at Boomer Lake. Pack up your worms, poles and lawn chairs for an early morning hook baiting this gorgeous July. Registration begins at 5:30am at the south boat ramp...yes you read correctly! Early bird gets the worm, or in this case, the fish! There is nothing like seeing the sunrise over Boomer Lake as our community comes together to celebrate the 4th. The tournament will run from 6-11am with weigh-in at 11am. Boomer Lake will the bursting with patriotic pride all day and into the evening with the Boomer Blast fireworks display at 9:30pm. Looking for larger waters? Stillwater is home to Lake Carl Blackwell and Lake McMurtry, both great for fishing this summer. With 3,350 acres, located just 8 miles west of Stillwater, Lake Carl Blackwell has an abundance of fishing opportunities all year long and is well known for its large Saugeye, Hybrid Bass and Black Bass. 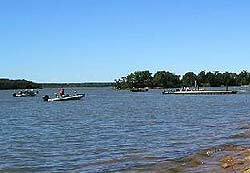 Lake McMurtry, owned by the City of Stillwater and located 6 miles west of Highway 177 on Burris Road, is another prime fishing spot to reel in the big ones. With 27 miles of shoreline, stocked with Bluegill, Bass, Catfish and Walleye, get your tackle box loaded up and ready to go! Stillwater is also home to Sanborn and Whittenberg, two smaller lakes where fishing and bird-watching enthusiasts can enjoy the local nature and trails. 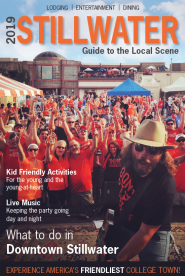 For more information go to the City of Stillwater Parks and Trails website page here! This summer plan to explore and experience the waters of Stillwater! Want to plan your next exploration? Check out Lake Carl Blackwell and Lake McMurtry resources below!